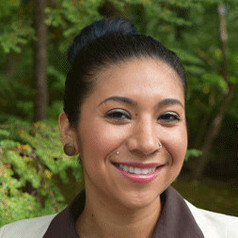 Dr. Martinez is an infectious disease ecologist. Her primary focus is understanding the drivers that shape seasonality in infectious disease systems, with particular interest in the impact of biological rhythms (i.e., circadian and circannual rhythms) on disease. Her current projects aim to inform vaccination policy by revealing how demographic, physiological, and environmental factors intersect in epidemic-prone disease systems, including poliomyelitis, measles, and chickenpox. Dr. Martinez also conducts research on maternal immunity in infants and is building a statistical inference pipeline for studying vaccine modes of action. She utilizes cutting-edge statistical inference techniques and mathematical models to couple disease incidence data with clinical data to gain insight into the transmission dynamics of disease.